Our kids birthday parties can include adventure activities like Zip Lining, Archery Tag, Tree Climbing, Walk the Plank, Tomahawk Throwing, Euro Bungy Trampoline and playing in real treehouses. We are the only place in the area where you can do any of those things. Life is short, choose unique adventures and make memories! All kids birthday party packages include up to 10 children. *All children's birthday party packages include up to 10 children. Additional participants may be added to the package for an additional fee. One (1) parent per participating guest to chaperone as a non-participating guest. Additional non-participating guests must purchase an observer pass for $5.00. *Additional pizzas can be purchased. *Paper products and flatware are for party participants only. *If you would like to tip your Party Host, tips can not be put on a credit card. Cash only, please. How many children does a birthday party at Treehouse World include? Party packages include up to 10 participants. However, you may add additional participants. One (1) parent per participating guest to chaperone as a non-participating guest. Additional non-participating guests must purchase an observer pass for $5.00. When can a party be scheduled? We are happy to accommodate any day of the week. Hours are from 10am-5pm. The birthday cake/cupcakes and candle(s). Close toed shoes are required for all of our activities. Other than that, excitement, enthusiasm and energy area always good to bring! If you are the birthday family, we request that you arrive 15 minutes before scheduled time so we can review your party plans and waivers. Otherwise, guests can arrive on time and staff will be on hand for anything you need. Anyone who wishes to participate in an activity (adults included) needs to have a signed waiver on file. I booked my party, now what do I do?  Once your birthday party is accepted, you will receive an email with your receipt and a custom waiver link unique to your party. Please pass that link along to your party participants to ensure that your party starts on time. A representative will reach out to you 24 – 48 hours prior to your arrival to confirm guest count, activities, pizza order, etc. and answer any questions they may have. 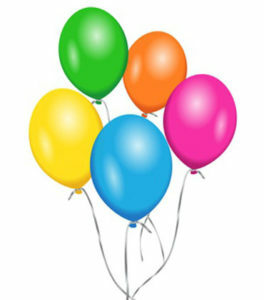 Sign up to receive information about birthdays parties!